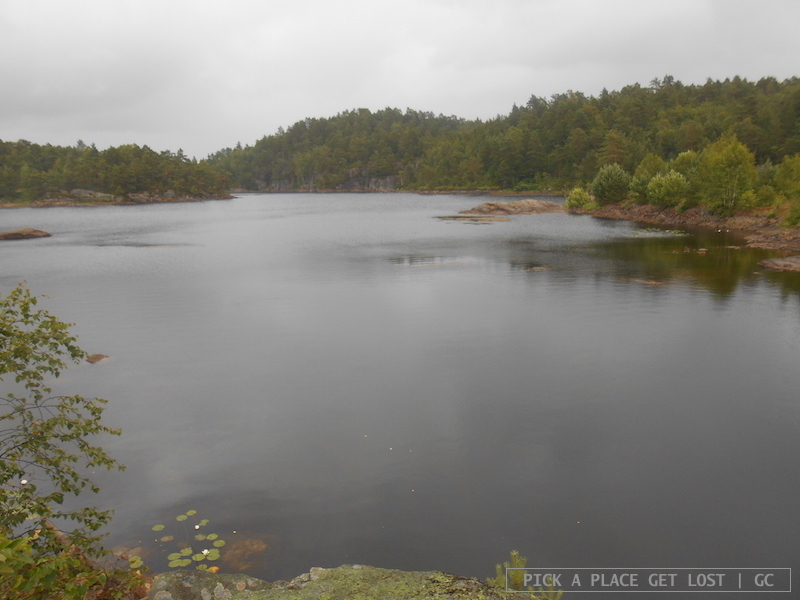 Hiking around the Jegersberg hiking area with my Mum counts as another one of my favourite memories of Kristiansand. I don’t think she’s ever been as tired as she was after those eight hours solid around Jegersberg. She really is my hero. The walk to the start of the trail was sightseeing in its purest form. We left our hostel early on Saturday morning, so the streets were empty and silent but for the occasional street cleaner and early bird. 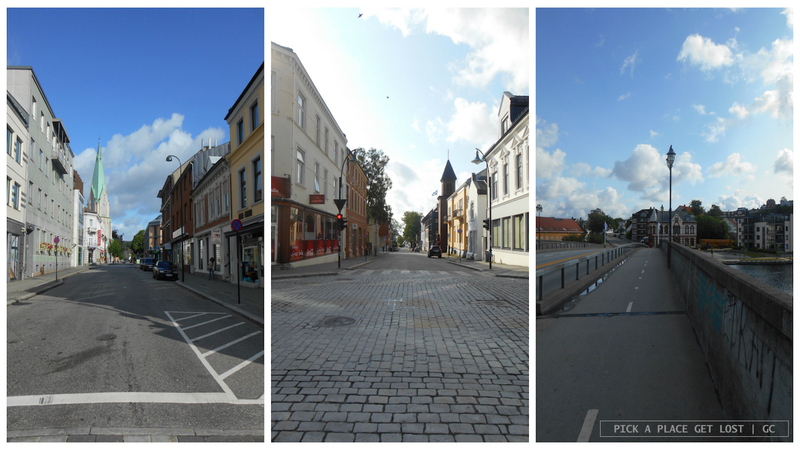 We walked down Dronningens gate, across the bridge over the Otra river, and through the Lund borough. We followed Østerveien road until… well, until Østerveien was no more. Where to now? 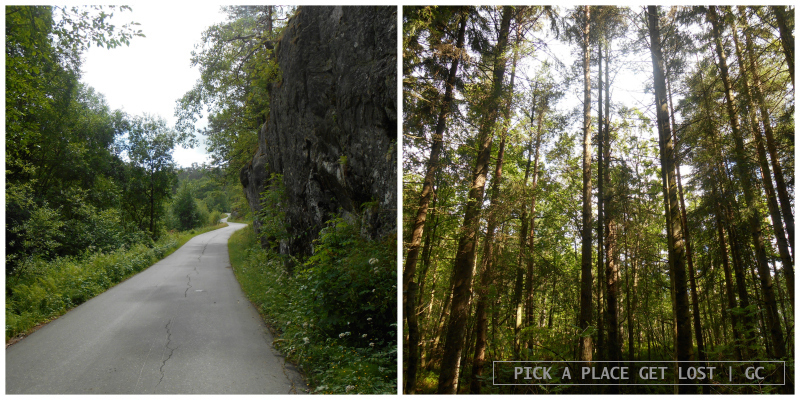 But just when we thought we’d got lost even before starting our hike, we spotted a trail and a sign hidden behind the leaves: Jegersberg. Yaay. 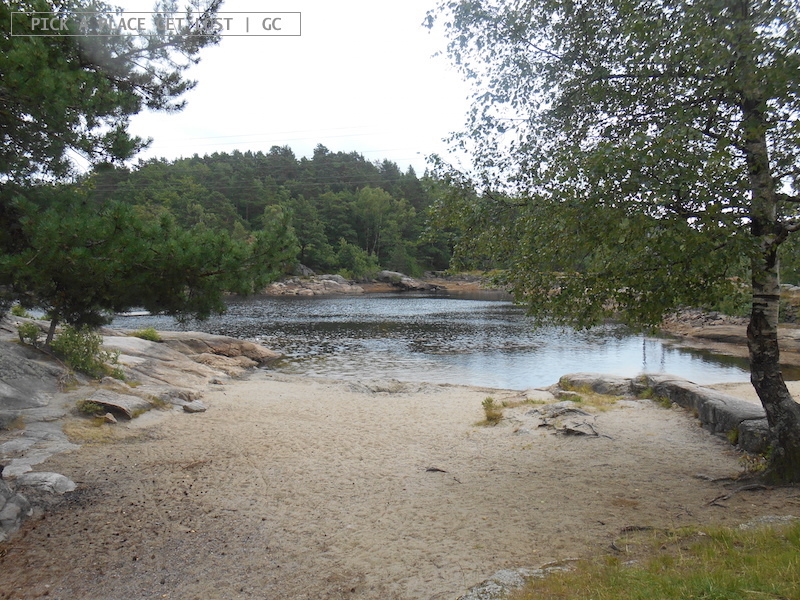 The Jegersberg trail would probably make anyone feel at peace with the world and with themselves. It takes roughly five to ten minutes to forget everything urban. Nor does it take long for the trail to grow steeper. And utterly breathtaking. 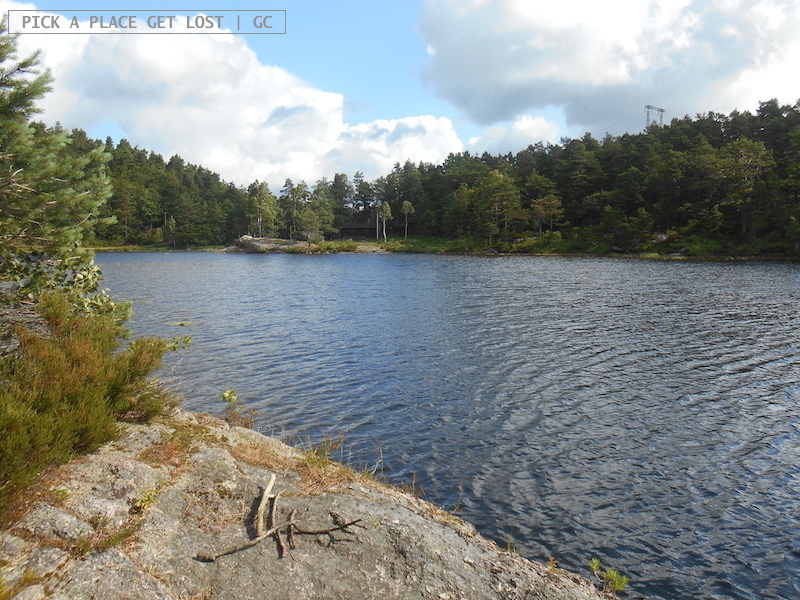 There was this specific point, where the trail overlooked a lake. Except, you could barely see the surface of the water, as it was almost entirely covered in water lilies. 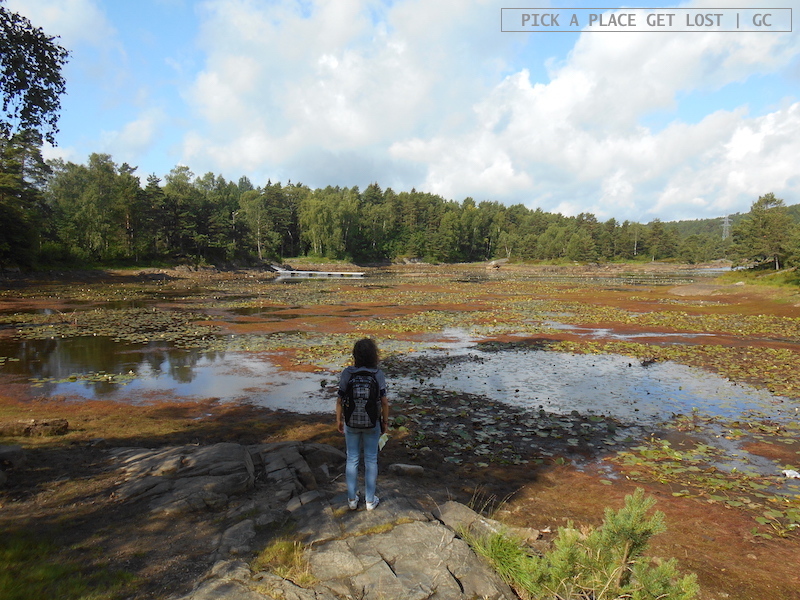 I can positively say that I’ve never seen as many water lilies as I saw in the Kristiansand area. Apparently we liked that spot a lot, because soon after we left it to walk on we got lost, asked for directions, but probably failed to make the right turn and, after hiking for another twenty minutes in what we thought was the right direction, we found ourselves in exactly the same spot. Oh come on, seriously. 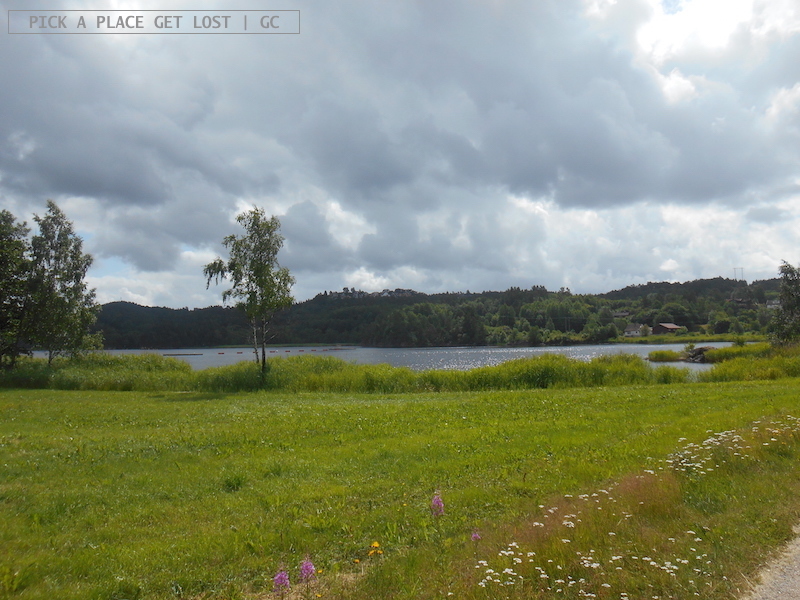 Then there was another spot, a bit further on, where the trail overlooked another lake, this time without water lilies, but equally stunning and peaceful. Shortly after coming across that lake we got to a fork, at which point we intentionally left the main trail so as to reach a tiny little beach downhill. Again, it was all silent and still but for the crashing of the waves against the shore. ‘The sound of silence’ is a thing, I thought. It started raining around lunchtime. (Tip: don’t ask yourself if it will start raining at some point, ask yourself directly when it will start raining. You’ll spare yourself a question.) We were truly ravenous by then, but we were lucky enough to find a trunk bench along the way, partly sheltered by leafy trees, so we thought we’d have lunch there. We sat on the bench, and happily retrieved our sandwiches from our rucksacks. 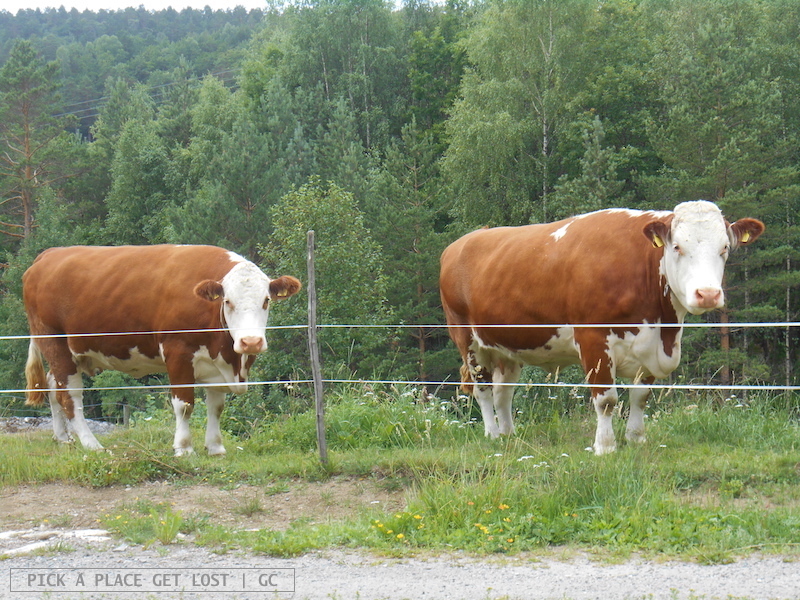 Two sandwich bites later, we looked up and saw two giant cows staring at us. They had been grazing behind the (very thin) rope marking the field across the trail, but the trail was very narrow, so it was like they were standing right in front of us. Okay, just act like they’re not there. After a third bite, we looked up again: they’d got closer. Then closer. Then closer. I couldn’t really say whether they were staring at us or they couldn’t take their eyes off of our sandwiches. Either way, they were massive. I’m not exceptionally familiar with cows’ behaviour, but really, they looked more angry than friendly. So we thought eating our lunch while walking was not a bad idea, after all. 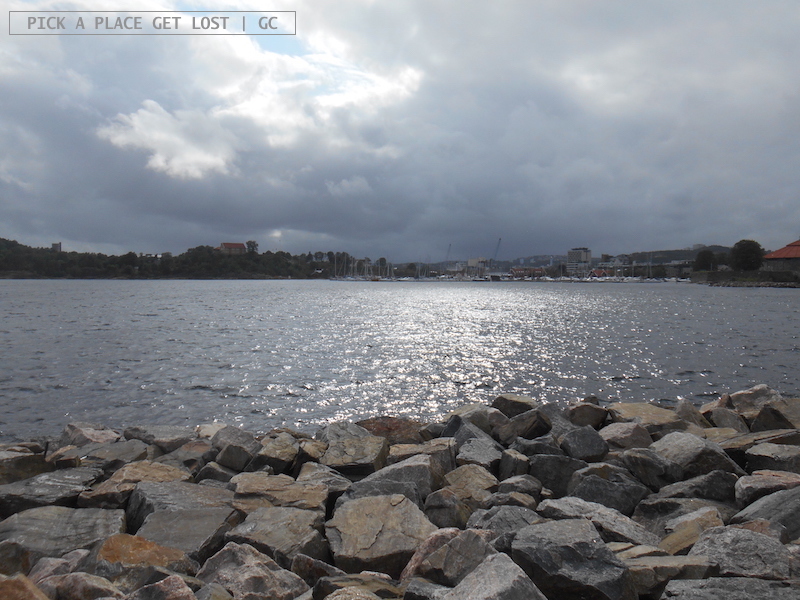 It kept raining for as long as we stayed around Jegersberg. There was another lake, then more woods, then a lake (this time with water lilies), then woods. We only bumped into a total of ten to twelve people the whole time we were in the area. It was almost surreal. Then, suddenly, we were back to square one and the hike was over. Mum was truly knackered, plus it was still raining, so she headed straight back to the hostel. As for myself, I thought I’d be happy spending some more time around my favourite Verven spot. 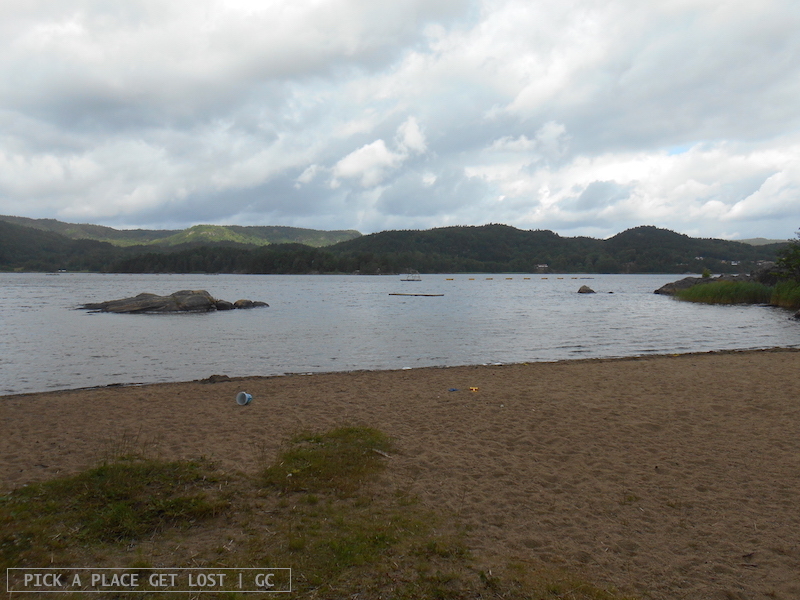 This entry was posted in Norway, Norway 2015 and tagged jegersberg, kristiansand, norway, norway beaches, norwegian riviera, southern norway, water lilies by Giorgia. Bookmark the permalink.